It’s time to submit senior ads for the 2018 yearbook! 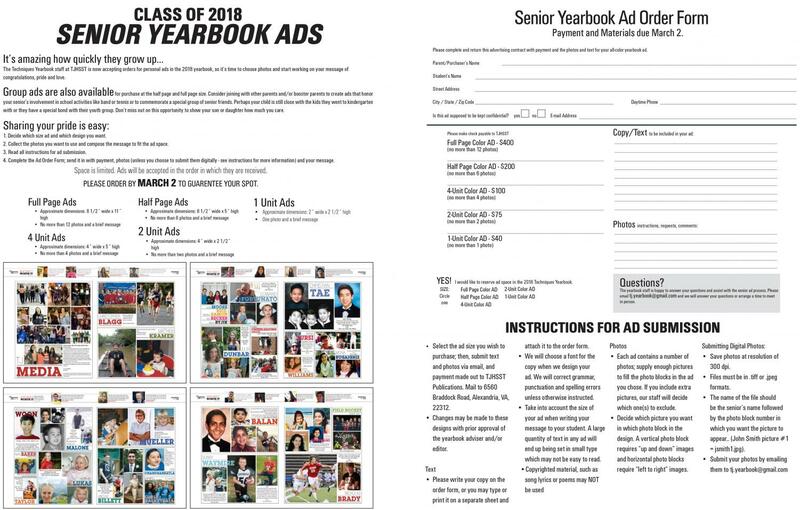 Seniors and/or parents of seniors can purchase ads to celebrate and commemorate Class of 2018 graduation for individuals, groups of friends, or groups on campus (clubs, sports, music groups, etc…). Download the order form by clicking on the form below, but hurry! The deadline for submission is March 2. If you have questions, email Ms. Harris (EHarris1@fcps.edu).